Your front door says a lot. What message are you conveying? The front door is one of the most overlooked parts of curb appeal and yet it can be one of the easiest things to improve upon. 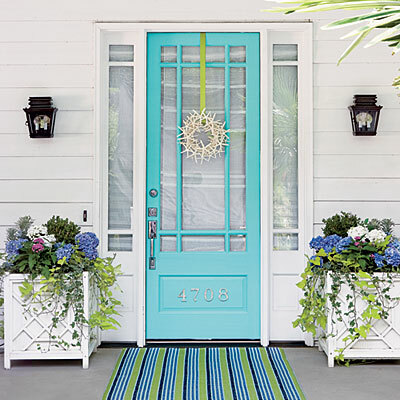 First Impressions are critical when selling, but even when you are redesigning for living, a good front door can make a home feel more welcome. 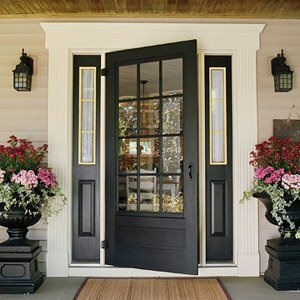 A bad front door can undermine anything positive you create in your garden or inside. Ty Pennington, in this clip from ABC’s The Revolution discusses how a front door can sway your impression on a property. I love how he advises that a front door should carry your personality and be accessorized with a beautiful paint color, accent, ornament or “knockers“. In truth, I love the way the green door behind him was painted. I’ve not seen it painted like that before and it kind of makes me wish that I had a raised panel door to try it out on. If you are ready to get a little adventurous with color on your front door, I suggest that you watch 31 Front Door Colors by The Color Fairy. You may just find the perfect color selection to bring the real you outside. 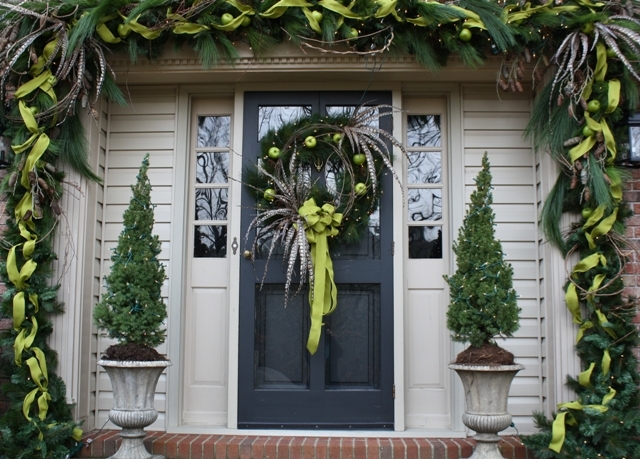 If your front door looks something like this…. 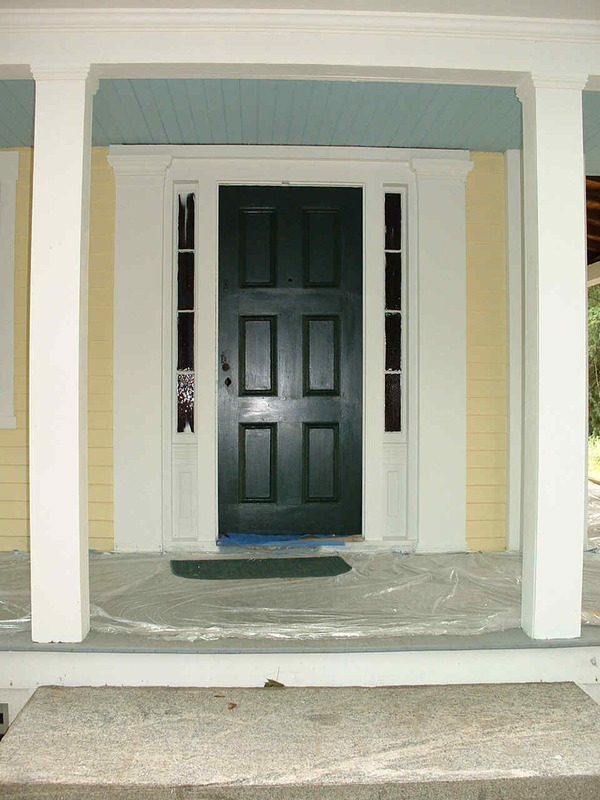 If you’ve got a large porch, or want your door to appear larger and more prominent, consider painting the side panels the same color as the door. Or keep your basic black, but really accessorize the space. Yes, I know this is Christmas, but you could easily change the feel by mixing up the potted topiaries, swags and other adornments. The point is don’t let your front door be boring. You aren’t, so why should it be? If you are a bit boring, well… isn’t this the perfect place to have a little fun and experiment with a little bling?